Land use changes are a major driver of species declines, but in addition to the habitat to which they're best adapted, many bird species use "alternative" habitats such as urban and agricultural land. A new study from The Condor: Ornithological Applications documents a century of land use change in Illinois and shows that species' long-term fate can depend on the availability and suitability of these alternative habitats. Between 1906 and 1909, a pair of ornithologists crisscrossed the state of Illinois, creating a unique record of its avian inhabitants across grassland, forest, urban, and agricultural habitats. The University of Illinois Urbana-Champaign's Michael Ward and his colleagues recreated this survey as closely as possible between 2006 and 2008 and used the data to create mathematical models of bird occupancy, assessing how things had changed over the course of the twentieth century. They found that birds' use of alternative habitats had changed more than their use of primary habitats: the 40 species in their analysis that expanded their occupancy did so by making more use of urban habitats, while the 26 that decreased did so because they were making less use of agricultural habitats. Urban habitats have become more bird-friendly in the past century as vegetation has matured and bird feeding has become more popular. Agriculture, on the other hand, has seen a shift from small, diversified farms to vast corn and soybean monocultures managed with heavy herbicide and pesticide use. "We need to understand how species use and respond to changes in not only their primary habitat, but also habitats that they only use occasionally. Species that can take advantage of alternate habitats can expand their populations," says Ward. "Understanding which species can or can't take advantage of these alternative habitats will allow us to better predict which species need conservation efforts. Urban habitats are the habitats in which many species have been increasing, and the general public, by providing small bits of habitat in their backyards, have the opportunity to help a range of species." Species that have been declining, on the other hand, may rebound if agricultural practices change to become more wildlife-friendly. "When trying to explain changes in population size and distribution, biologists often look first to changes in the habitats that are most closely associated with a species. 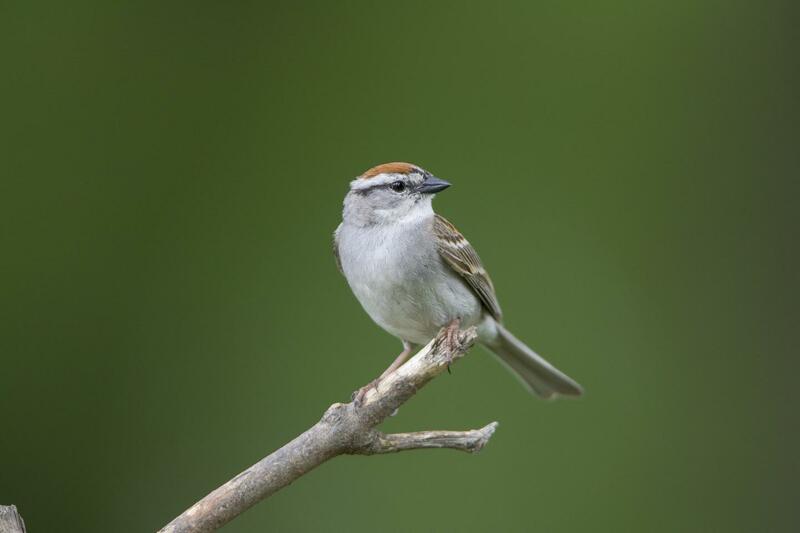 This study demonstrates that these 'primary habitats,' as termed by the authors, do not necessarily drive population changes," adds the Cornell Lab of Ornithology's Amanda Rodewald, an expert on birds' response to land use who was not involved in the study. "Rather, the extent to which a species uses novel or alternative habitats such as urban areas might better explain patterns. One key implication for conservation is that tracking species within alternative habitats may help biologists to understand, anticipate, and potentially mitigate population changes." "Changes in bird distributions in Illinois, USA, over the 20th century were driven by use of alternative rather than primary habitats" will be available July 25, 2018, at http://www.bioone.org/doi/full/10.1650/CONDOR-17-153.1 (issue URL http://www.bioone.org/toc/cond/120/3).